The UK marketplace has huge buying power and excellent digital infrastructure. If you want to convince a shopper to click the buy now button, your chances of success are quite high with the British one. 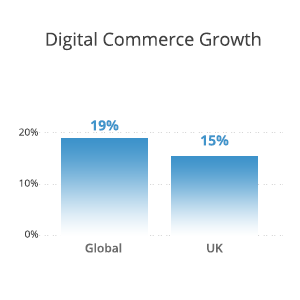 Interested in more ecommerce facts, figures and trends for the UK ecommerce market? Read more and check out our comprehensive report! The UK is a powerful ecommerce market and a country with advanced digital technology. But you may wonder: What about Brexit? Will it contribute to the demise of Great Britain and its ecommerce power? Britain is known to be the most mature ecommerce market in Europe and one of the digital economy leaders. 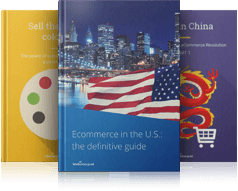 Brexit or not… We’re dealing with a stable and powerful ecommerce market. It may experience temporary challenges due to the upcoming economic and political shift, but, in all likelihood, will remain strong long-term. The UK is the hub of internet shoppers. Even though it’s a relatively small market, British shoppers enjoy spending money. According to IMRG and Capgemini Report from January 2017, B2C ecommerce sales in the UK grew by around 16% in 2016. The sun won’t set on British ecommerce so don’t give up on the idea of selling your products on this marketplace. British consumers are really hungry shoppers. The UK marketplace has huge buying power and excellent digital infrastructure. It is competitive and customer-oriented. The country has a high population density and percentage of online GDP. The UK is a competitive and customer-focused market. It’s necessary for sellers to provide quality customer service and instil confidence in their clients. This can be done by customer-oriented actions, for example by ensuring hassle-free returns. If you want to convince a shopper to click the buy now button, your chances of success are quite high with the British one. The reason is simple: they enjoy shopping and spending money online. Among top products purchased by British online buyers are clothing/footwear, books, home electronics, food and films/DVDs. In bigger countries, such as Russia, the US or Australia, delivery time can give both sellers and buyers a bit of a headache. The UK’s compact size, in turn, has its benefits. The UK infrastructure is comprehensive, efficient and modern. The need for efficiency has resulted in very low pricing for deliveries. Next day deliveries and Click & Collect and Click & Reserve options are commonplace. For UK-based consumers, shopping online feels almost as immediate as shopping in-store. This is an important takeaway here. When you deliver goods to a British customer, you need to account for their expectations. What does the UK buyer expect from delivery? Efficient & proactive communication, e.g. email/text/phone updates or non-premium rate phone numbers to contact the courier. 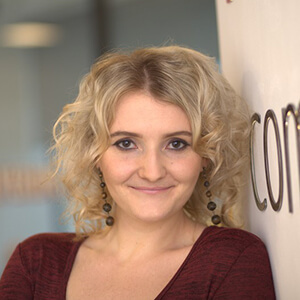 Retailers with a proactive approach to following up problems. Leaving parcels in a safe place or at a neighbor’s place by carriers is common practice in the UK. 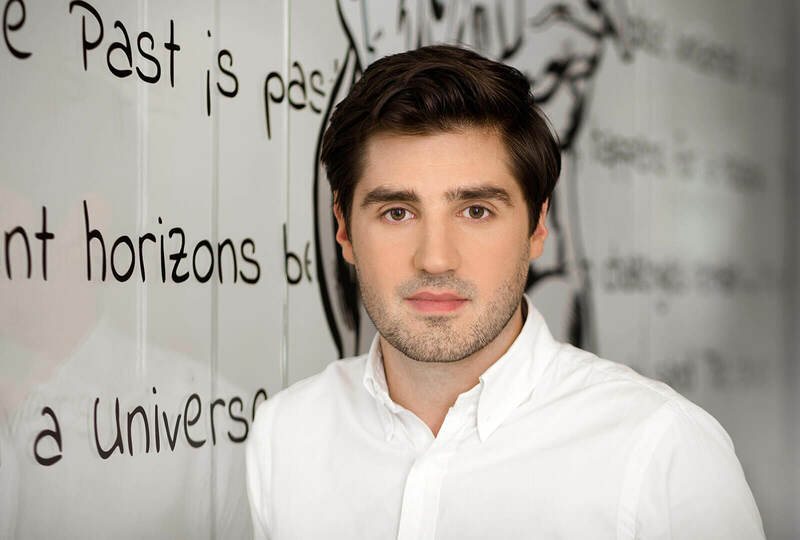 Adrien Salvat, expert in international shipping, recommends that retailers ship their parcels through a service offering a POD (proof of delivery). This way, if anything goes wrong, sellers will have proof that the parcel was successfully delivered at a given place. 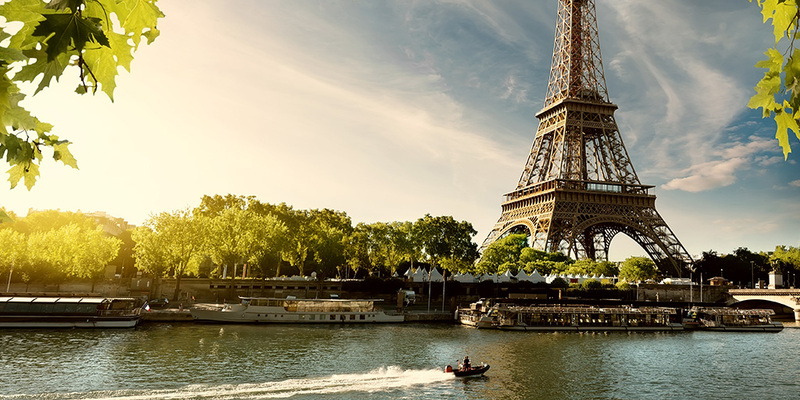 for a parcel value exceeding $170, both VAT and customs duties apply. It’s also worth mentioning that on top of the UK postal service, there are alternative, cost-effective services. For example, DSAs (downstream accesses) provide discounted rates for deliveries through the Royal Mail. In the UK, credit cards (40%) are the most popular payment method in the case of online purchases. They’re followed by debit cards (34%) and PayPal (21%). 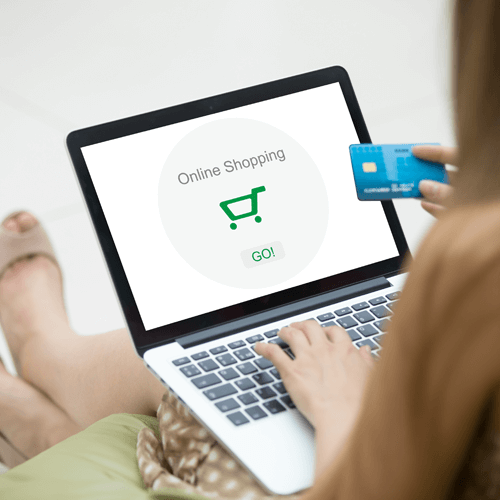 British online shoppers are used to making online purchases and generally feel confident about entering their payment card details. This trust contributes to a higher number of online transactions. Brits are keen mobile shoppers, happy to make purchases on the go. In fact, they belong to the biggest shoppers on mobile. Cost-efficient mobile rates motivate users to spend more time online. The mobile share of retail ecommerce sales in the UK amounts to 52%. Extremely popular are smartphones, bringing 70% of ecommerce traffic. Larger screens have made it even easier to do smart-shopping, which is driving the trend further. 58% of British online customers purchased a product abroad in 2015, ranking first in Postnord’s ecommerce research. Favourite online shopping destinations of British online shoppers include the USA, China and Germany. For starters … think of the English language spoken in Britain and virtually … the whole world. 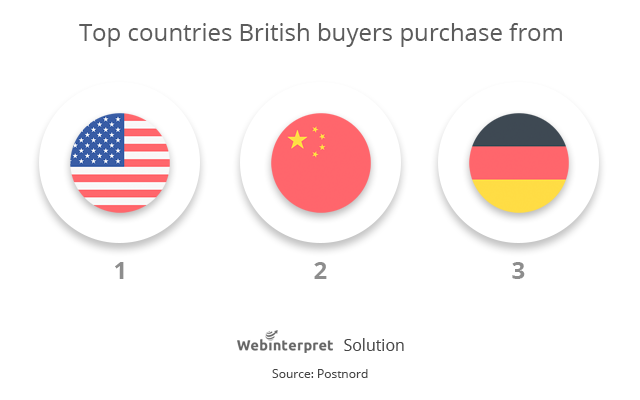 Hence, UK ecommerce sites attract not only British but also international buyers. This can mean access to a very, very large number of shoppers. Second, when it comes to shipping & delivery, the UK is full of options so this will give sellers a chance to secure low shipping costs. Third, as to mobile users, the UK can boast the highest usage in the EU. And yes, they like to shop on the go… any time, any place. In other words, your goods are presented in front of a very keen ecommerce audience. Doing shopping online is second-nature to Brits who make a great online buyer from the seller’s perspective. What’s one of the hottest topics currently associated with Great Britain? Brexit. No turning back. So now what? … ecommerce sellers may wonder. If either the UK or the EU adopts new post-Brexit regulations, how will it impact sales? What will distance-selling regulations, such as duties and taxes, look like? 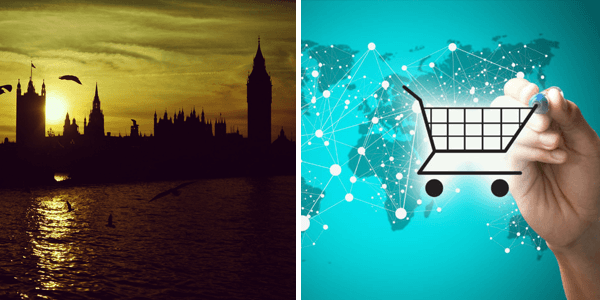 What will post-Brexit ecommerce be like? There are many questions with no straightforward answers. Other, non-Brexit challenges, may be the maturity of the British market. UK shoppers have access to a wide selection of products and local merchants use advanced marketing tactics. It’s important to have differentiated products to be successful in this market. Maybe it’s the weather that motivates Brits to do their shopping online from the comfort of their sofas. They really enjoy it. After all, who wants to go on a shopping spree, dashing through high streets on rainy days? The UK has been the leader in European ecommerce so it’s highly unlikely that the Brexit situation will make it an unattractive ecommerce spot. The UK is an influential, digitally advanced country. 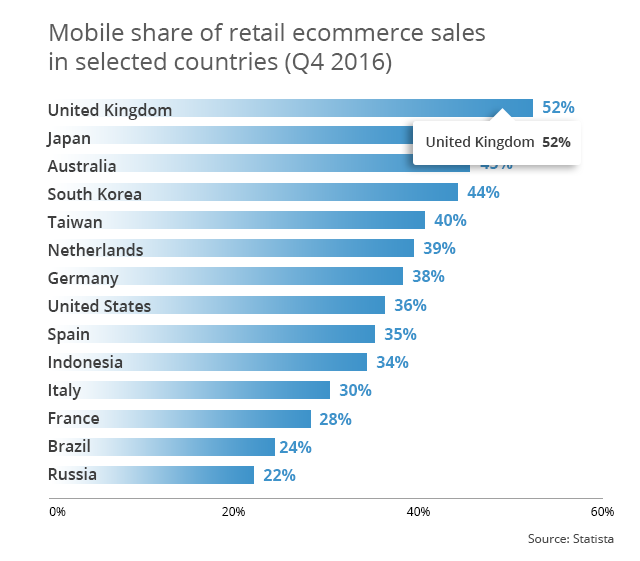 UK ecommerce consumers are also keen on online shopping, especially now that mobile devices are becoming more and more convenient for that purpose. 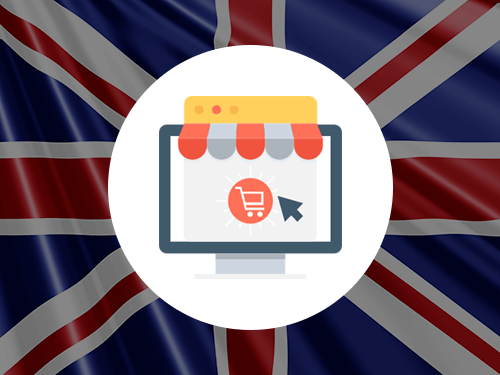 The days of the British Empire may be long gone, but ecommerce in Britain is stronger than ever. Lengow Country Guide. 2016. United Kingdom. Ecommerce Outlook.